I have an 07' GT650 Comet with 7,000km,Leo Vince pipe,BMC air filter,Michelin Pilot radials. Bike does 135mph at 7,000ft and gets hard use. The back brake went out and small leaks from water pump and clutch cover,but it's a rockin' little bugger. Smilin' on the highway with an open face helmet. Went to buy Wifey a used gt650s 2008 model from a dealer. Beautiful shape, still had the new stickers, obviously garage-kept. Dealer put on a new instrument panel because he put the bike's original on another bike on which he blew out the panel, reportedly by jump starting (customer's bike). Rode it home. Comfy, but the panel blew out again, coming off and on. Wiring was fine. Under the seat, previous owner had done the parallel rectifier wirings as shown in this forum - Still got HOT. Idle was inconsistent. Fuel gauge would not work...wiring was fine. Noticed that previous owner added electrical tape to rear seat latch to keep it on. 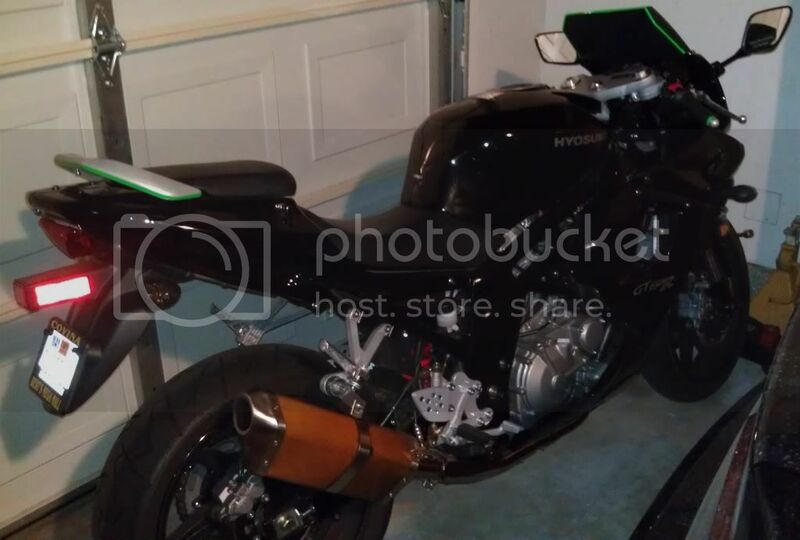 Fairing was cheap plastic, brittle like an old Chinese dirt bike. I took it back. Dealer was great (Gooch's of Hendersonville, TN). 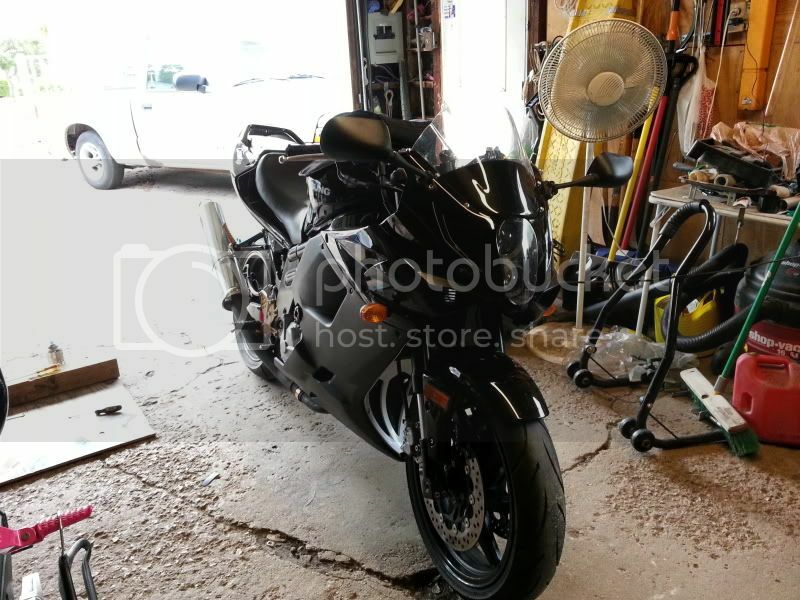 My '05 600 Honda CBR has been dogged, wheelied, stoppied, and run to 14.5K rpm regularly, and has been to the track. I have replaced a chain, battery, and front forks (gouged from dirt?). That's it. Well, it did need some antifreeze added...2 ounces in 7 years. Got the Wifey a 2005 500 ninja Kawasaki. No problems so far in the first 300 miles. It has 13,000miles. My Honda has 36,000 miles. The Hyosung had 600 miles. Reliability? Quality? You decide! Don't blame the bike for you buying a bike that was messed with by the previous owner and the dealer. You could have the same damn problem with any bike. Pretty worthless post buddy. Obviously the previous owner messed up the wiring and you didn't look the bike over well enough when you bought it. Sounds like you would rather complain about a bike since you obviously don't even know how to check a bike out before you bought it. My 06 has 33k km on it. Only issue I've had has a regulator that was slowly dieing. It was easy to fix. Pretty pointless to be a one time poster and come on here and talk smack about a bikes reliability when you didn't even buy it new and you got a piece of junk. Thanks for informing the community of your stupidity. ... Pretty pointless to be a one time poster and come on here and talk smack about a bikes reliability when you didn't even buy it new and you got a piece of junk. Thanks for informing the community of your stupidity. Now that's a well informed post. Thanks Woody. Btw what was the cause of the blow? Thrown valve? also, what screwed up the engine? wow you guys are getting me worried i just put my 05 with 715 miles back together and ready for the road. I have noticed a couple things i posted a thread on bike shutting off while riding i think we squared that down to kick stand sensor or clutch electrics.However i did notice that my regulator/rectifier gets frigging hot after running i mean so hot you cant touch it without being burned. Also what recommendation on running valves mileage wise.This bike sat for well 5 years and i did check vin and it wasnt the suspect vins. What else am i gonna have to replace on this thing. Ohh yeah my start switch just fell apart saturday as well. So far i havent even got it titled yet and its nickel and diming me already. The stator should be hot, it uses diodes to regulate the voltage. They do that by releasing heat. The on problem is that the diodes burn out. So that is why so many people are replacing the regulator with a MOSFET one. Those tend stay cooler, but you can still be burned, thats why both styles of regulators have fins and are out in the open to get air. Grab the shop manual and check the electrical section to see the tests if you want to check that the regulator is working. Its pretty easy to do.